Par 72 Course with five par 5s, eight par 4s and five par 3s. 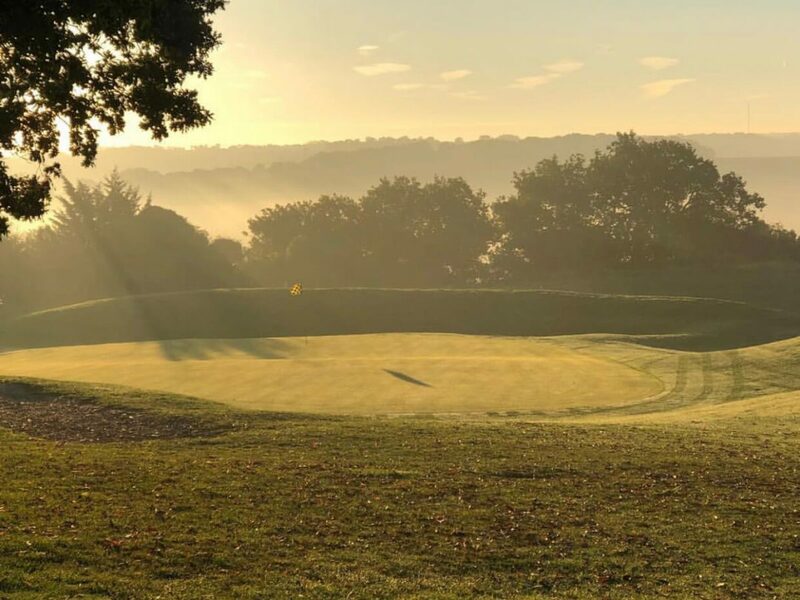 The undulating landscape gives varying lies to test all standards of golfers, with stunning views of the Darenth Valley and London. 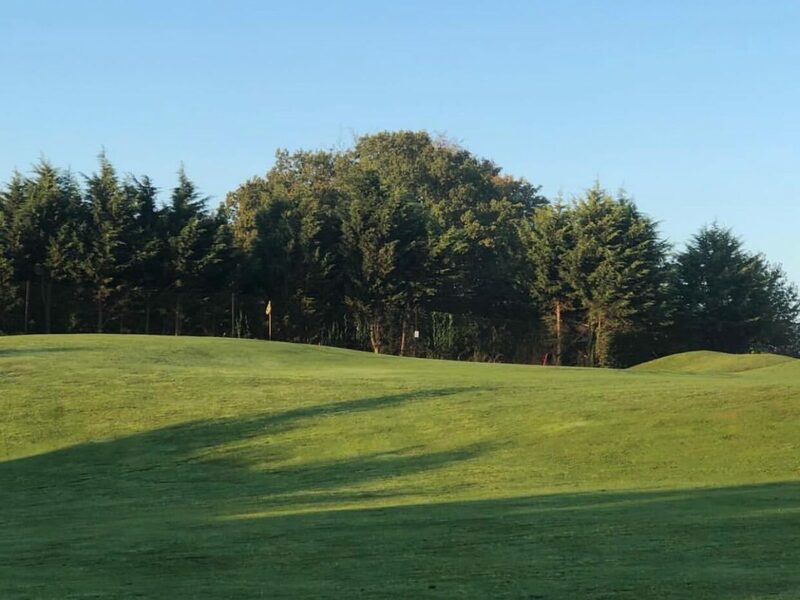 8th – 519 yards Par 5 with fantastic views from the tee of the Darenth Valley and many of London’s eastern landmarks including the Shard and Canary Wharf Tower. Playing from a high tee to a split fairway usually into the prevailing wind try to avoid the side slopes to make the second shot easier. The best place for your approach will be from the left side of the fairway. Careful of the out of bounds all the way down the left side of the course and out the back of the green. 18th – 165 yards Par 3 with a pond, 3 bunkers and out of bounds this hole is a challenging finish to the round. 4th – 186 yards from the back tee with 2 bunkers short of the raised green. A challenging shot for any standard of golfer.